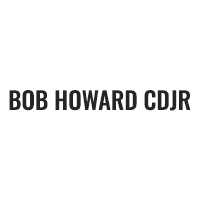 Welcome to Bob Howard CDJR new Jeeps for sale inventory page in OKC where you can go through our large inventory online and check our dealer discounts or rebates. Also, find out about Bob Howard’s great financing options, lease deals, and exclusive dealer incentives. Call (405) 749-1111 today to schedule a test drive. We are excited to offer this 2019 Jeep Cherokee. This Jeep includes: 50 STATE EMISSIONS QUICK ORDER PACKAGE 2BJ POPULAR APPEARANCE GROUP Privacy Glass DIAMOND BLACK CRYSTAL PEARLCOAT ENGINE: 2.4L I4 ZERO EVAP M-AIR W/ESS (STD) 4 Cylinder Engine Gasoline Fuel TRANSMISSION: 9-SPEED 948TE AUTOMATIC (STD) Transmission w/Dual Shift Mode A/T 9-Speed A/T *Note - For third party subscriptions or services, please contact the dealer for more information. * Want more room? Want more style? This Jeep Cherokee is the vehicle for you. This is the one. Just what you've been looking for. This is about the time when you're saying it is too good to be true, and let us be the one's to tell you, it is absolutely true. We look forward to seeing you soon! Please call us for more information.